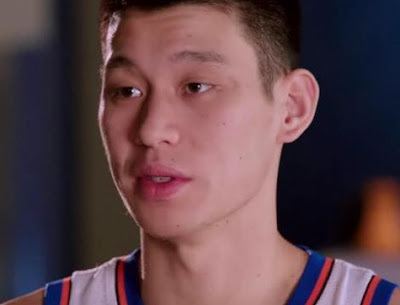 Jeremy Lin has got a high sincerity quotient. That is, of course, dramatically different than a person who just says nice things. Obvious? Perhaps to some of us. But so often we confuse nice words with sincere motives. Contrast the two interviewers of the New York Knicks sensation with the man to whom they're speaking. While in considerably different settings, and at different professional levels, news media people have to "act" as if every story emotionally matters to them (industry standards, society standards, etc. ), when they have long since grown numb. They are feigning. This is very different than actors, whom we give "permission" to lie to us when we watch their movies (Ekman). When we occasionally see an anchor or a reporter react in an emotional fashion (e.g. like a normal human being), it is such a deviation in behavior (for that profession, in that context/setting, etc. ), that it makes the news along with the original story. In a world where people have much less face-to-face interaction, and gain more of their "interpersonal skills" (insert ironic facial expression and tone of voice) from electronic sources, this leads to dramatic ineptitude in both interpreting and projecting body language and paralanguage in context. And it is getting worse.